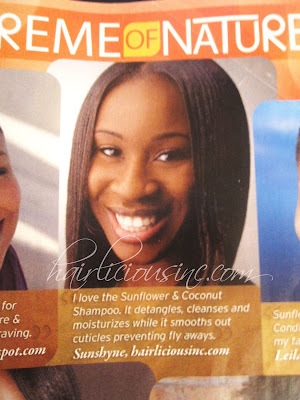 Sunshyne in Essence Magazine March 2010 Issue - Hairlicious Inc.
congrats you look so pretty!! This is wonderful news! Thanks for sharing and congratulations Sunshyne. So wonderful! You were one of the 1st blogs I came across in my journey so believe I am truly happy for you! Congrats! Your pic is gorgeous! 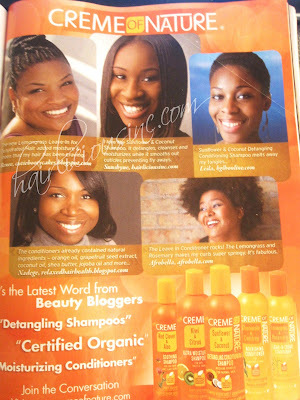 Wow, I saw the ad and knew 4 out of the 5 bloggers; I was like, hey, that's Sunshyne! As if I know you personally.....lol. Congrats girl, you deserve it! I recommended ALL the girls at our event to sign on to hairlista and use your blog as reference. You rock our hair! i was hoping that someone would put the scans up. you look so pretty in the ad girl! love it!!!! i see two of my other bloggers that i really like on here too. congrats! you and your hair look wonderful! i have the issue and i didn't even notice, i don't look at ads much lol. congrats, sunshyne! i got that issue in the mail and didn't even open it...it went straight in the "obama" box LOL i will look at it when i get home! I just want to say congrats! I can not wait until the day I can feel proud enough to have my hair be seen as wonderful enough to be featured! You have come a long way and are inspiration to all 4a/4b coarse relaxed hair ladies! It is possible to have long healthy chemically altered hair! Thanks for this! Congratulations!!! What a wonderful affirmation to all of your hard and appreciative work. Way to go!!!! Congratulations. Keep up the good work! You look great on the add Sunshine. Congratulations to you! Congrats, beautiful! What wonderful recognition for you and all the hairlistas on your site! Congrats Sunshyne!!! That's so great :O) Who knows what's in store for the future! Oh My! That is so great!!! Congratulations!!!! Oh wow! Congrats girl! Your pic is gorgeous. I was tickled to see you in Essence, good job! You Rocked! I was so Proud of you. And I told people.